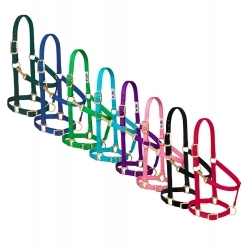 Weaver Leather Basic Adjustable Chin & Throat Snap Halter, When you're looking for the perfect combination of dependability and value, these basic halters are the right choice. 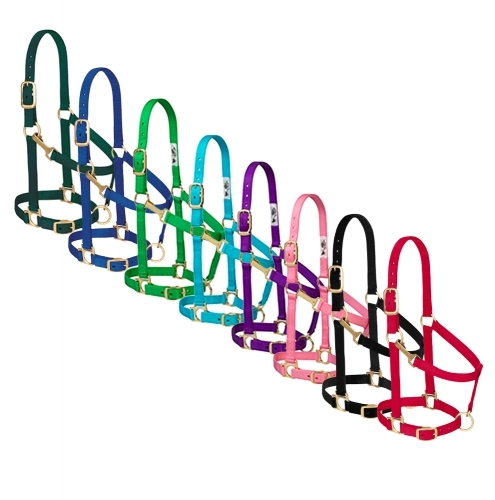 With features like brass plated hardware, box-stitching at stress points, oblong buckle holes and a sewn-in throat snap, this 1" nylon halter is a great buy. Average horse or yearling draft size.